Thanks for this review, Phillip. I’m way too busy trying to BE and ACT like Jesus… be a man for others… to put much time into my admitted hobby of theology, biblical studies and Xn origins. Similarly for commenting in depth. I won’t venture into adoptionism, not having studied it significantly nor read this book. But I do think most Christians (even of my more progressive type, and especially Evangelicals) fail to see the rapid and fairly clear progression of abstract or “interpretive” theology right within the NT. And the clear traces of an almost certainly non-divine view of Jesus’ messiahship (identity), in Mark and even in the pauline-oriented Acts. That while G. John goes waaay beyond the synoptics to present Jesus AS God (and clearly influenced strongly by Greek thought, especially re. “logos”). As, I suppose, an “anti-adoptionist” point (I really don’t find the speculative and abstract issues around it very pertinent to a robust and action-oriented faith), I don’t see how a well-studied person, from our vantage point of NT scholarship, can seriously take the gospel accounts of Jesus’ baptism and relation to John the B. as historical or theologically instructive. I believe Josephus’ account, on top of clues in Acts, etc., make it clear John did NOT serve as mainly a “forerunner” for God’s messiah, or one who debased himself in the process of elevating Jesus, with that being his god-given role. Though Josephus is also not to be taken as always accurate or straightforward, I see no suspicion of bias or twisting in his John “reporting”; and his description runs seriously against the claimed Gospel description of John’s main mission and connection to Jesus. And, as I’ve said, other clues tip us that the Gospels must be distorting things here. And they may be presenting what they do not EXPECT to be taken literally or as even historical in specifics though, broad stroke, Jesus may well have once followed John and taken over some of his followers upon John’s execution. 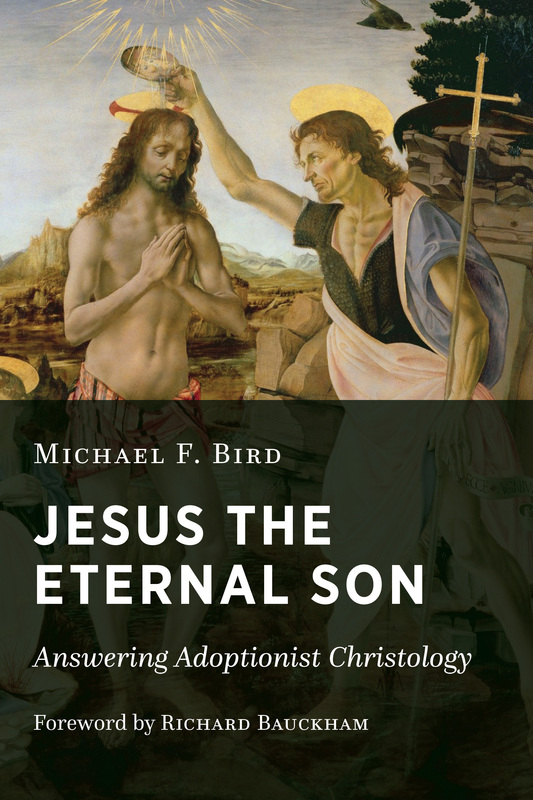 What makes this book unique (to me) is Bird’s insistence the statement “early Christology was adoptionist” is wrong, or at least is more based on quoting other scholars than exegesis of the the text.